Kriti Homes Pvt Ltd entered the market of real estate in the year 2013 and market the dawn of bright new era of spectacular residential apartments and with our noteworthy presence in Chennai. Each project is being supervised by one of our engineers, resulting in a home of unsurpassed quality, beauty and durability with a unique blend of all modern lifestyles needs. Spearheaded by our enterprising and dynamic directors and backed by the experience team of well motivated and highly qualified architects, construction specialists, supervisor. Our Vision is to create an Eco friendly living environment, providing the best Quality of Homes, excellent customer service. 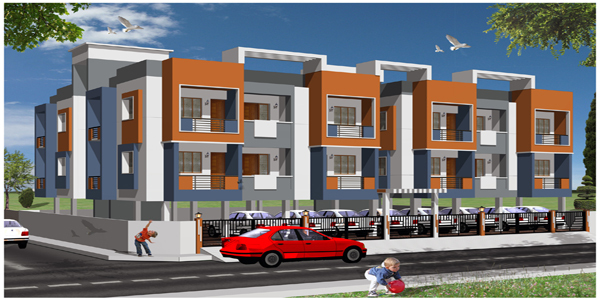 Kriti Homes is focused towards continuously improving on quality standards. Modern methods, technology & construction materials are used to keep up the quality & provide best quality product to our customer. Our projects are designed by the best in the business and the locations are chosen after a thorough research, so that our customers get the best return on their investment. At KHPL, we ensure that a great deal of attention is given to customer relations. Our teams anticipate the needs of the clients. Our philosophy revolves around the customers. With Strong in house team of architects, we strive to reach the core of perfection in our designs. Various brainstorming sessions, during the concept design, design verification and validation process, the FMEA’s and the design reviews throughout the life cycle of our projects ensures zero defect products to our customers. At KHPL the team believes in commitments and building long term relationships based on trust and honesty. KHPL in order to enhance our quality and standards at every stage assemble the usage of modern technology materials like RMC, Aerocon blocks, water proofing compounds etc. Our project department focuses on Research and Development, where latest material developments in the construction industry are tested and validated before put to actual use. A concern for the environment is an integral part of the company’s vision. KHPL is always committed to growth in consonance with the environment and all its projects stand a testimony to it. Our entire construction process is standardized. Our engineers are driven by process control standards and the process quality is reviewed through statistical process control techniques.